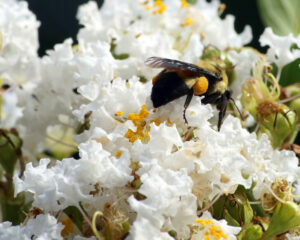 Anyone who has travelled in the south during mid-summer has surely taken note of the Crapemyrtles throughout the area. The crapemyrtle, often referred to as the ‘lilac of the South’, boasts showy blooms that attract bees and provide habitats for a wide variety of birds. 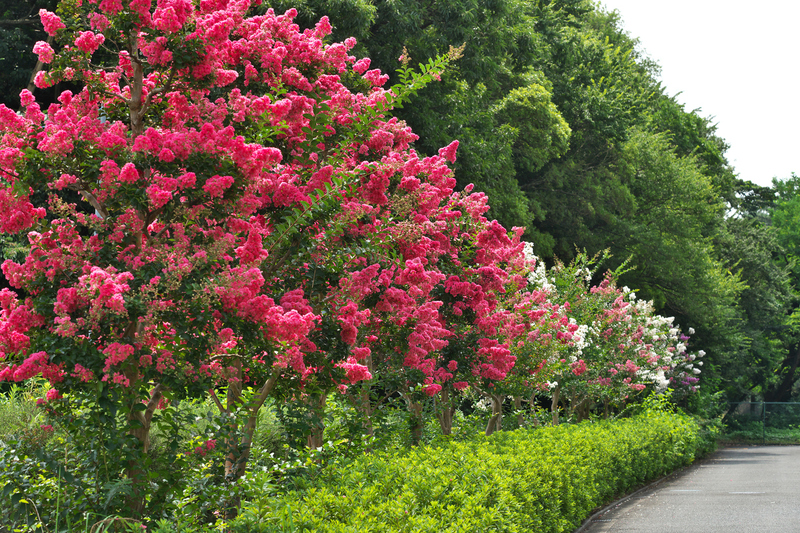 The common crapemyrtle is a native of China and Korea. Crapemyrtles come in a variety of sizes and colors. Thanks to the hybridizing efforts on the part of the National Arboretum and several Crapemyrtle enthusiasts, this colorful specimen has made its way north for the last several decades. From luscious colors of blooms to smooth bark and dense foliage, the crapemyrtle is the center of attention in any landscape. The tree is not only known for its beauty, but also for it hardiness and dependability. Those of us at DiSabatino Landscaping would like to share our knowledge with you on have success with your Crapemyrtles in the mid-Atlantic region (zone 5-6). Below is a list of the basics when caring for this hardy tree in your landscaping. Plant in Well-Drained Soil:Planting your Crapemyrtle in a raised bed, berm or sloping area is ideal. Beware of planting flush with the ground, ESPECIALLY if your soil has a high clay consistency. Areas of your landscaping that tend to puddle or stay damp after a rain will inhibit a crapemyrtle from surviving the winter, as the stem tissue will not harden off properly. Crapemyrtles are naturally drought tolerant. Crapemyrtles Love Heat: A sunny spot in your landscaping is ideal as Crapemyrtles easily abide extra heat that occurs near a south-facing wall or fence. If full sun is not available, they will thrive with ½ day sun. Fertilize in Spring: A crapemyrtle blooms on current year’s growth, it is suggested to use either ‘Plant-tone’ or ‘Flower-tone’ or a comparable product. Mature plants tend to need less fertilizing. Do not fertilize after July as the resulting new growth will not harden off properly before frost hits and will die back in the winter. Trim in Early Spring: It is best to trim from mid-March to early May before the new growth appears. While later trimming will not hurt the plant, it may delay or eliminate flowering. A trimmed branch will take 6 to 8 weeks of hot weather before it will bloom. It stands to reason, anything trimmed after June will most likely mean no blooms for the season. A big NO-NO is to trim after July, as the new growth will not be ready for winter. Treat for Japanese Beatles: Treat for Japanese beetles in June or July if they become an issue in your area. Except for newly planted Crapemyrtles, do not water or fertilize in the fall. It is best to have drought stress versus too much lush soft growth, as you want the stems to harden off for the winter. Crapemyrtles are the most accommodating plants, thriving in dry, full sun and requiring less maintenance that most trees and shrubs. Posted in Delaware Landscaper, landscaping tips, new landscape, plant health, pruning, Uncategorized and tagged basics of crapemyrtles, Crape Myrtle Tips, landscaping with crapemyrtles on June 5, 2018 by Denise Bernstein. What Is Rejuvenative Pruning and Why Do You Need It? Don't Let Boxwood Blight Take Out Your Boxwoods!